Setting up an online auction business is becoming one big hot idea on the web at the moment. Because of the great savings, unique products and the element of suspense present in an auction site, consumers are drawn to it like moths to a flame. This article gives light on what an online auction business is and the sort of work an owner must put in, in order to build one of her own. What is a Virtual Auction Business? This business model is a fun way of making your entry into the internet business world. With minimal costs to get started, the financial risk involved is next to nothing. the condition - new, used, with defects etc. If the user likes the item, he will click on a button to bid for the product. He may go for the suggested bid or bid for a higher price. The selling of the item will be under time pressure, meaning, the offer will expire anywhere from an hour to several days — depending on the owner. If no one else bids higher on the product by the time the auction finishes, the first bidder gets the item. But if there are more bids that come in after the initial bid, then the item goes to the highest bidder. Consumers enjoy the act of outbidding each other especially in the last few minutes preceeding the closure of auction. And the thrill that comes with winning a bid is immense. From an observer’s point of view, and aside from the huge savings that come with auctions, this is what makes auction sites so appealing. Building this type of business requires time and dedication from you. It is a site that runs 24/7, seven days a week and all items must be accounted for. In setting up your own bidding endeavour, you may start off with a few of your personal belongings first, registering them at popular sites like ebay.com, Overstock.com, eBid.net, Webstore.com, OnlineAuction.com, CQout.com and Webidz.com amongst others. This will help you get a feel of the whole online auction trade. Give a valid e-mail address where prospective buyers can contact you for further details. Some do so to confirm that you really exist. Reply promptly and always be courteous. Never ask to be paid by cash. It's not ethical. Go for major credit cards, Paypal or Escrow. Some sites offer other payment systems. Take a picture before shipping the good - in case of a dispute. I was reading a write-up recently, whereby buyers receive the item bought, replace it with their own identical damaged, soiled item and return it back to the seller, claiming it's not in good condition. When you have gained enough experience and have studied the mechanics and process of bidding, you should go ahead and create your own website. Sidenote - Bear in mind that building an online auction business is not fitting to everyone. Only those with keen organizational and business skills will enjoy this sort of work. There are other matters to think about - inventory, bookkeeping, stock orders, packaging and shipping as well, so it is more hands-on and detail oriented than most internet businesses. It will entail a lot of your time, so make sure that you are fully devoted to your online auction business before you go ahead and build one of your own. If you believe that this sort of business is for you, then read on. Finding a topic for your site. Zero in on a small yet defined category. Go for a subject that you really love and willing to research and study further. What is their age, gender, status – single, married, with kids, employed, stay at home, business owner, income earner, dependant on social welfare? What are their pains, worries, goals and dreams? What problem do they have that you can help solve? Let's see how you can combine your topic to your market. Imagine you like cooking and would consider that as your topic. You know that, that niche is too broad, so you narrow it down to say, italian cooking. 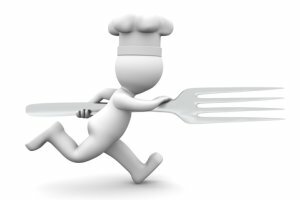 Italians love cooking with fresh, simple ingredients and are very capable of preparing delicious food in minutes. Your niche market might very well be busy moms who wish to feed their young kids good food fast. It is important that you do quality research first to find out if there's potential for profit. Click here for how to start doing basic research yourself. Fill your site with high quality content that the audience you're targeting, is looking for and aim for free (organic) traffic through high ranking in search engines. You do this by applying various SEO techniques. Don't worry if you're not tech savvy. There are companies that deal with all the technical stuff. They especially cater for individuals who want to build their online business without any programming skills. They provide services and tools such as registering of your domain name, hosting, site design and graphics, analyzing of content for SE optimization, submitting each page to the major Search Engines, provide data related to your website’s traffic and lots more. The traffic you generate from your site is all yours. You are building your customer base. This is one crucial aspect for any online venture. It’s the backbone of your online auction business. Traffic stands for visitors that come across your content – in whatever form, be it your website, blog posts, articles, e-zines, video. If they like what they read and/or watch, they will opt-in, by giving you their name and e-mail address. This way you start building your list of subscribers. You send out newsletters on a regular basis to keep them updated on what’s happening; maybe new content you’ve created, special promotions you’re offering or the latest range of products you’ve put up for sale. This way, you drive traffic to your website and building your very own list of prospects. Imagine you’re an eBay seller with no site/blog set up and nowhere you can refer them to. Realize that, all the people that view your listed items, is all traffic that belongs to eBay. Once they click away, they’re normally gone for good. Can you see the difference between the two? Your main source of income may still come from sale of goods at auction sites but you have the option to monetize in various other ways. Thus, you will no longer be totally dependent on profits made from sale of auctioned items. You will be able to supplement with streams of income like Google Adsense, affiliate fees, finders fees, selling hard and/or e-goods. These should obviously be related to your line of business and with your audience’s best interest in mind. 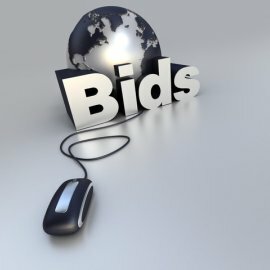 Sidenote - Please make sure to read the guidelines of the auction site you're listing your items with, as there are some that do not allow links to websites where other items are offered for sale. If you really and seriously, want to take it to the next level, you can add on your very own online auction, to the information site you create. In order to run an auction site, you will need auction software - which you can find if you type the phrase "auction software" in Google Search, and hosting for the auction software. Employ added features to raise your site’s credibility such as customer reviews and rating systems on the products bought from your site. When you sense that there is movement in your auction site and things are getting quite busy, you can expand your products to include other related items which your potential customers might need. Going back to our example above, goods like italian cooking recipe books, italian wine, italian table linen, cookware, kitchen accessories etc. This is where you can start opening your online auction business to other sellers; and your online auction community will begin to grow.